As a home or business owner in Dallas, you may be seeking an affordable and effective way to heat your home during the cold weather months. At Northwest Propane Gas Company, we offer all types of propane appliances, heating systems, and supplies to create an ideal indoor environment in your home. Consider the benefits of propane for home heating and learn how to schedule your propane service with our team. If your home has a central heating system, propane is an energy efficient choice for heat. Central heating systems that use propane consume less fuel and cycle less frequently than systems that use other energy sources. Propane heating equipment lasts longer than electric heating equipment, meaning you will save over the long run as well. Propane is available to homeowners who do not have natural gas lines accessible on their property. 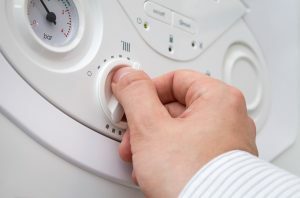 In addition to warming your home, the propane fuel can also operate your water heater and provide hot water to your dishwasher, washing machine, and plumbing fixtures. For homeowners who need to warm a small area such as an addition, propane is an excellent choice for space heating. Space heating options for propane include fireplaces, space heaters, and hearth ovens. The benefits of space heating with propane include instantaneous warmth and minimal fuel consumption for a maximal effect on your comfort. We can install a propane space heating fixture based on your need and preferences for your home. At Northwest Propane Gas Company, we are proud to be your local Dallas propane gas company. From propane water heaters to propane home heating systems, we offer maintenance, repairs, and installations of all types of propane equipment and supplies. We want to ensure your complete satisfaction with our propane products and services so that we can establish a lifelong relationship in providing for all of your propane needs. To schedule your propane equipment or supply service or to learn more about the benefits of using propane to heat your home, call us today at 800-274-6121.